Manage your AEDs with an easy-to-use web based platform to help you comply with your state's Good Samaritan laws. Buying your AED is the first step. Now take advantage of the liability protection available to all AED owners. It's called the Good Samaritan Law and it protects AED owners and rescuers with no medical background. 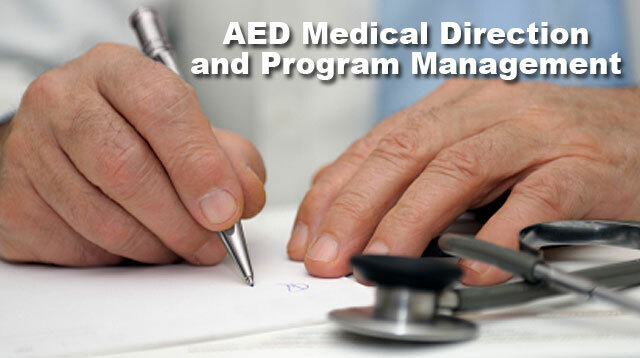 Arch™ AED Medical Direction and Program Management provides full medical direction from a team of state-specific physicians and handles all of your Good Samaritan administrative requirements. Arch's easy-to-use web based platform allows you to view or update your AED's information such as expiration dates of electrode pads and batteries, AED placement maps, readiness checks, status tracking of trained responders, certification expiration dates, and more! *Several states require medical direction to receive Good Samaritan Law protection. Learn more about the Good Samaritan Laws in your state!